1. Cars: Mercedes, BMW, Ford, Opel. The cars are equipped with the safety belts and air condition. 2. Vip class cars and limo. 3. Jeeps (4X4): Mitsubishi Pajero, Toyota Land Cruisers, Lada Niva. 4. Minibus (8 - 20 seats): Ford Transit, Mercedes Sprinter. 5. 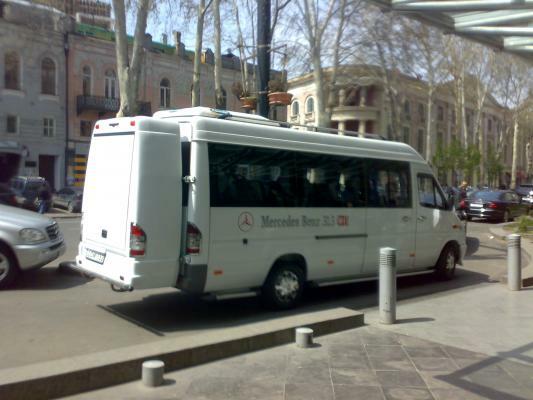 Buses: 33 - 51 seat buses: Mercedes, Neoplan, Setra.